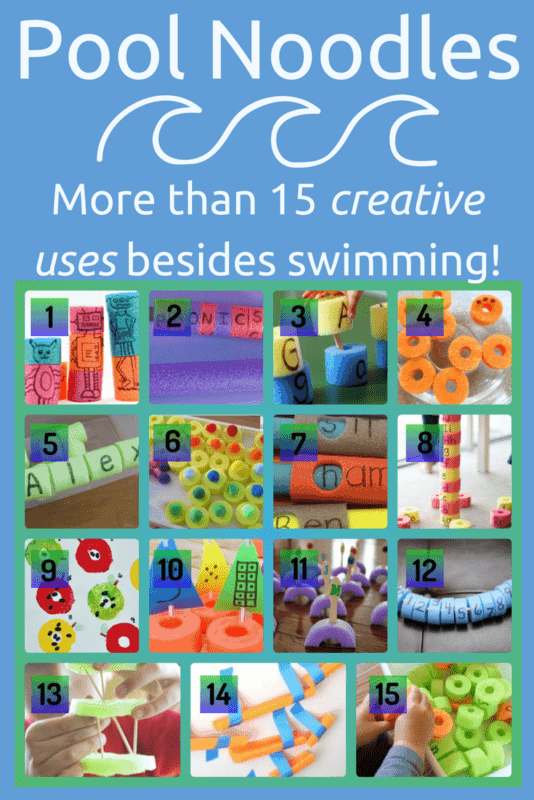 Home » Disability Resources for Families » Pool Noodles: 15 fun and creative uses, besides swimming! Pool noodles are like the simplest yet one of the greatest inventions ever. 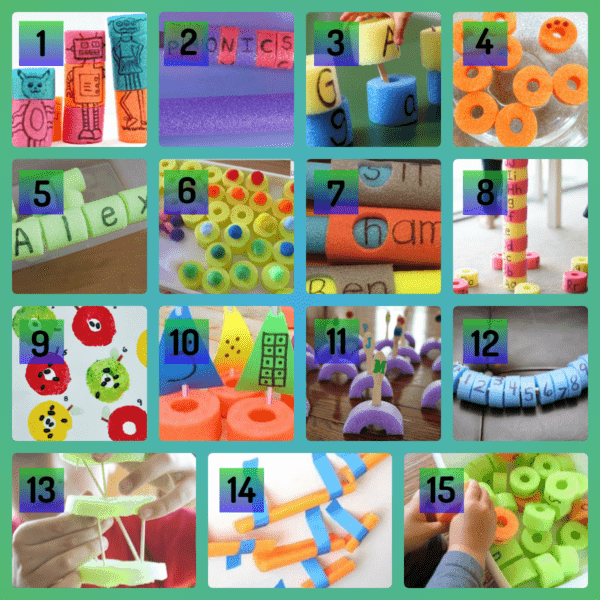 So simple, yet creative, fun…and educational! 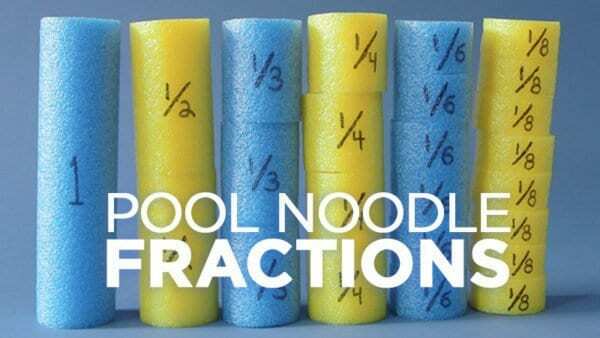 Yes, educational pool noodles. The other day I was out shopping, and there is a ton of summer stuff on clearance. Sure, it’s slim pickins’ as far as variety, but stuff is soooo cheap. I saw pool noodles for 10 cents. A dime! But I couldn’t think of what I would use a pool noodle for. Even though they were just a dime, I passed. I should have bought those pool noodles in cheap bulk at that price. 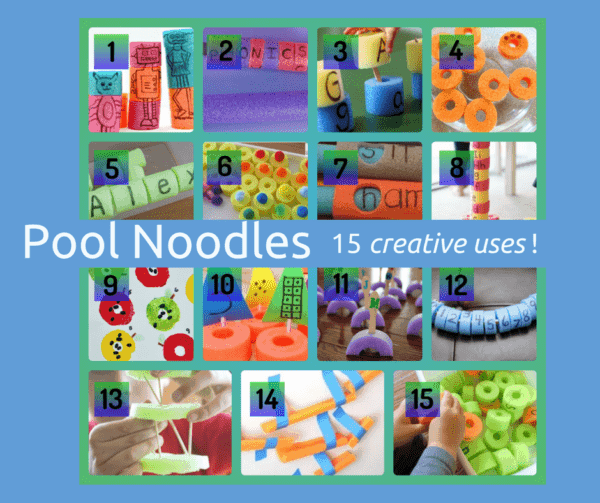 I had no idea that there are so many uses for pool noodles. D’oh! I just quickly said to myself “eh, we don’t have a use for them.” Then I started poking around online, because I am not creative, but know that lots of other moms and teachers are creative. Sure, enough, when I went back to get them a few days later, they were gone. I love the black pool noodles! Here are the ideas and they should match up with the photo. Pool Noodles-Uses that are not swimming! Check out this fabulous idea from WeAreTeachers. « 9 Practical Tips for Taking Kids to Kalahari Water Park Resort.